Episode 19 of The Dash Podcast. 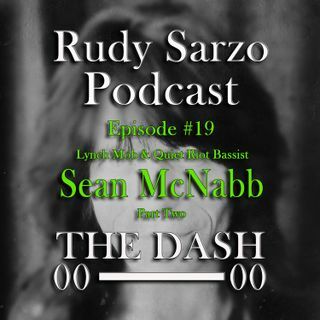 Part 2 of my engaging conversation with Lynch Mob and Quiet Riot bass brother Sean McNabb. In this episode Sean shares his memories of how he got the Quiet Riot bass spot, his passion for acting in TV shows such as Sons of Anarchy and Mayans MC and our sobriety. I Hope you enjoy it and I look forward to your thoughts.